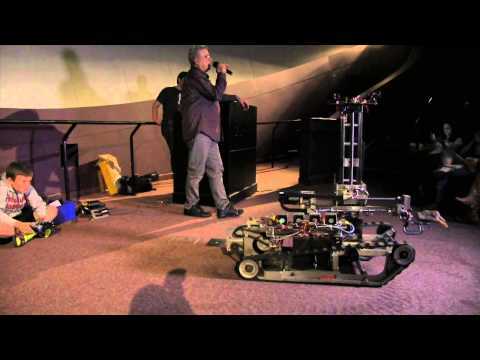 The great robot uprising will conquer Chabot Space & Science Center on Saturday, February 21st. Join Nerd Nite East Bay there with talks and demos from UC Merced biomechanics Professor Jing Xu and Survival Research Labs founder Mark Pauline. You’ll also be able to construct a light-powered LEGO© car, build a Mindstorm Lego Robot, or compete in a scavenger hunt. After the show, hear Jonathan Braidman’s special live presentation of Cosmos 360. Beer from Drake’s Brewery and sammies from the Grilled Cheese Guy will be on sale. Be there and be square. Jing Xu is a faculty in biophysics at UC Merced. While not in the habit of flexing muscles, she dreams of being immersed in awesome sound systems, and claims to see beauty in a lot of places. 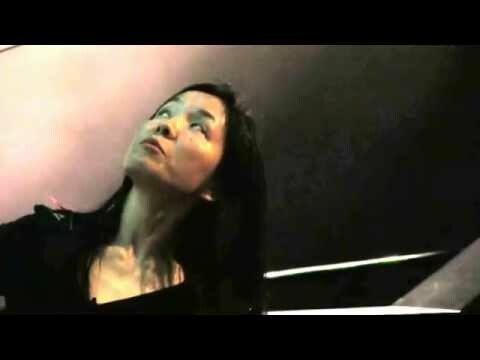 She’ll give the talk “Molecular machines: watch them go!” Flexing muscles, hearing music, seeing beauty. These are a few things that we do instinctively, without much thought. Behind the scenes, are a number of tiny molecular machines (that we make ourselves!) chirring away to keep us functional and healthy. How do they work? What make them tick? What make them fail? We will zoom into two such molecular machines, watch their interactions under microscopes, much like how we might check traffic update on our phone, to explore the unseen biology/biological machinery that drives us. Mark Pauline has been building and destroying machines for over 35 years, and is the founder and leader of Survival Research Laboratories. The organization creates their own machines out of industrial detritus and staging underground events in San Francisco that were full of flying metal, shooting fire and lots and lots of noise.